Frescos and murals will never exhibit at a museum near you and therefore, you must travel to see them. Looking upwards for spiritual connection is elevated to an entirely new dimension when you're gazing at ancient masterpieces. Whether on ceilings or walls, we've compiled a must-see list to visit while traveling. Or better yet, plan a special trip. The great Mexican muralist Diego Rivera’s iconic creation is incredibly grand and mesmerizing in its sweeping depiction of humanity. Spanning a 22-foot high and 74-foot wide wall and covering nearly 1,800 square feet, it is Rivera’s largest masterpiece. Its full name is more than befitting of the interconnected galaxies of human faiths, which the mural encompasses – The Marriage of the Artistic Expression of the North and of the South on the Continent, the continent being North America. 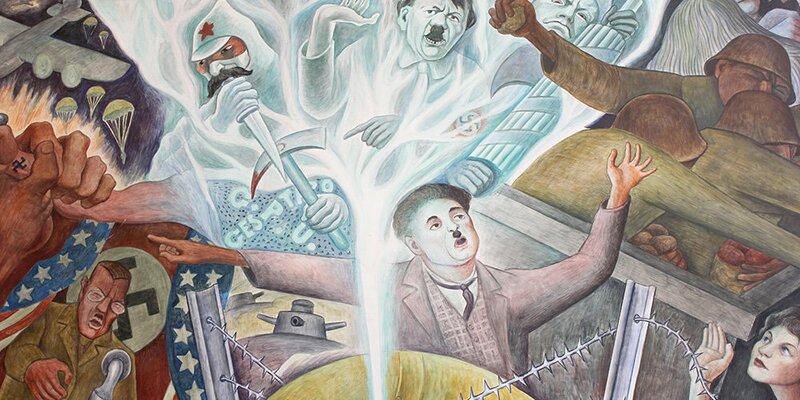 Created in 1940, this mural is basically a vivid history map replete with symbolism. It recreates some of the most defining moments in the history of North America that have made it the fascinating mixture of cultures know today. 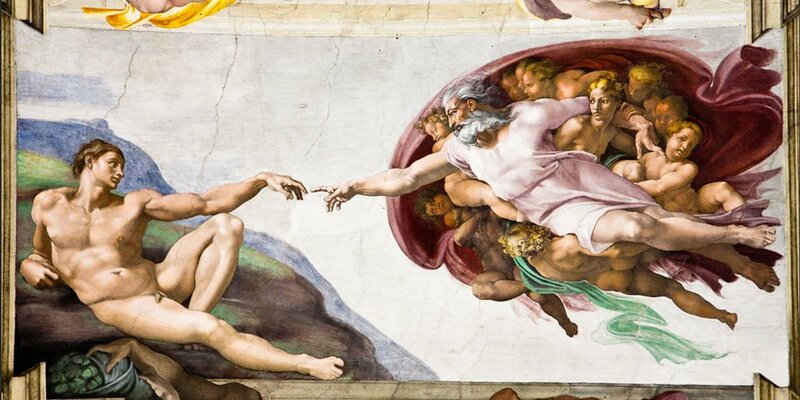 The Sistine Chapel’s ceiling was painted between 1508 and 1512. Hired by Pope Julius II, Michelangelo was scoffed at by other artists for being a sculptor rather than a painter, not worthy of such a hefty task. Michelangelo proved everyone wrong, creating a masterpiece that has come to epitomize the majesty of frescoes all over the world. The ceiling became a canvas on which the artistic genius of Michelangelo unfolded in full force, blessing people with a visual representation of the Old Testament unlike anything anyone had ever seen or envisioned until then. 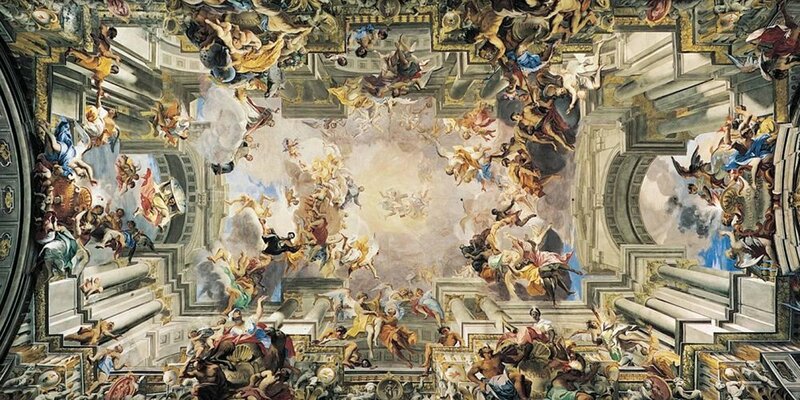 The Vatican houses some of the greatest fresco artists of all time and Rafael is very much at the top of the list. 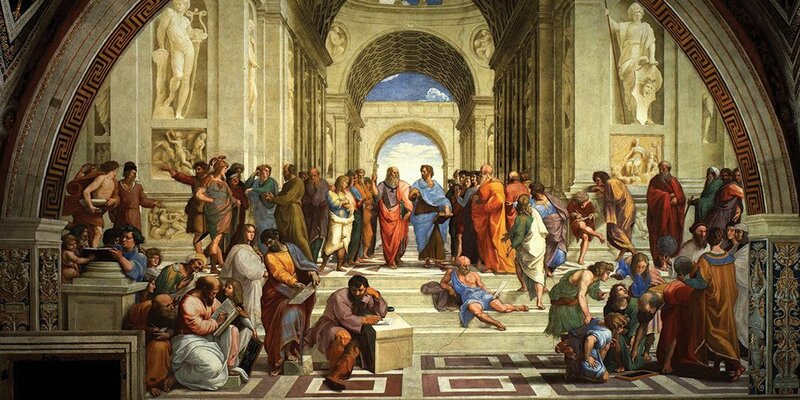 He painted the School of Athens between 1509 and 1511 as a part of a commission to decorate the rooms now known as the Stanze di Raffaello, in the Apostolic Palace. This masterpiece represents all the greatest mathematicians, philosophers and scientists in western tradition gathered to share ideas and learn from each other. These figures all lived at different times, but here they are gathered together under one roof. Imagine being in the presence of such great minds. Rafael did! And we can be in the presence of his greatness when visiting the Vatican. 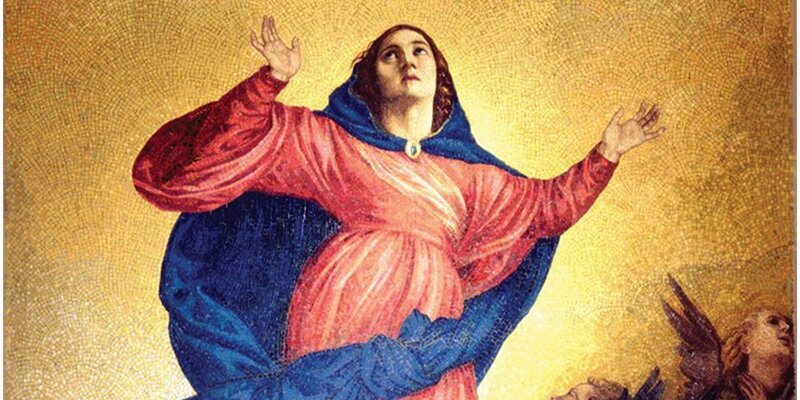 The Assumption of the Virgin was unveiled in 1518 and positioned Titian at the forefront of High Renaissance Art in Venice. What makes it so innovative for its time is its dynamics, as earlier religious paintings depicted saints in static position, whereas Titan’s masterpiece captures the Virgin Mary’s rise to the Heavens and brims with pulsing, divine energy. Hanging over the church’s high altar, this wall painting is technically not a fresco or mural as it painted on a panel; however, we find that its scale and majesty demand that it be included on this list. Founded in 1202, Dharma Hall is the oldest Zen temple in Kyoto. If that wasn’t awe-inspiring enough, its ceiling was actually designed by Japanese artist Koizumi Junsaku in honor of the temple’s 800th anniversary. 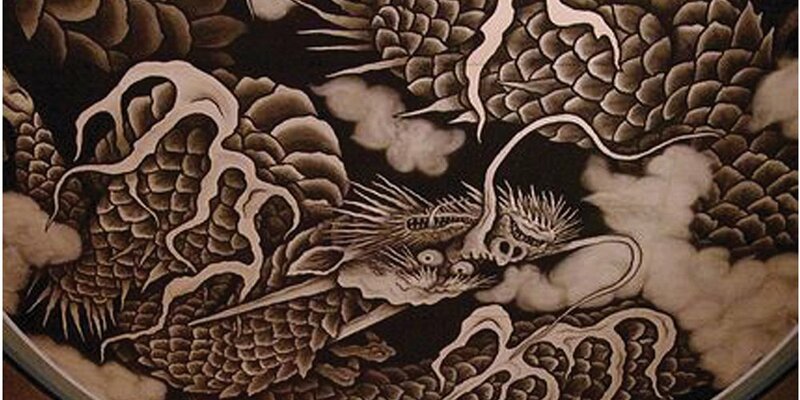 It features a painting of twin dragons that have surely inspired numerous tattoos. The captivating painting took Junsaku two years to finish. The artist worked on it at the gymnasium of a Hokkaido elementary school, as it was the only space big enough for his vision to fully unfold. Looking at the ceiling of the Church of St. Ignatius, you really feel like you can almost reach out and touch the heavens. Created between 1688 and 1894, the fresco depicts St. Ignatius entering Paradise, and if anyone can come close to capturing the majesty of such a moment, it is Andrea Pozzo. Arguably the finest example of the power of quadrature, or illusionistic ceiling painting, this fresco creates a highly immersive, optical 3D illusion that extends the walls and ceiling all the way to a divine dimension. With its supreme use of linear perspective and visual-spatial skills, this work of art exemplifies the best practices of trompe l’oeil art (a discipline that intersects architecture and painting), and as such would be particularly appealing to those with a love of architecture and design. 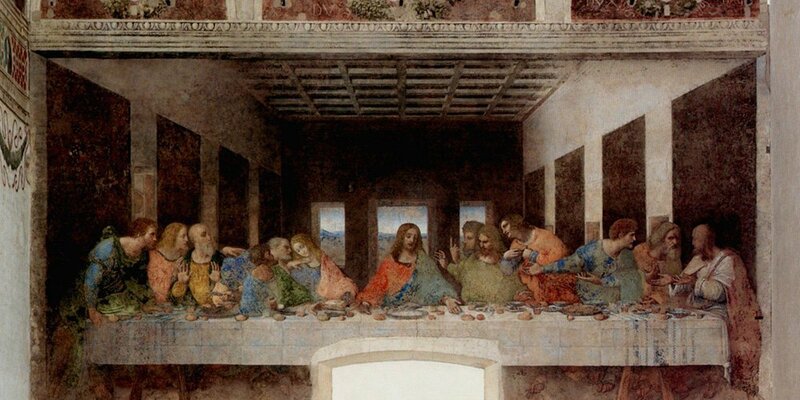 Leonardo da Vinci's Last Supper is perhaps the most iconic one of all. Completed in the late 15th century, da Vinci's depiction of the final meal that Jesus shared with his Apostles has framed our visual image of what occurred in that biblical account. This secco fresco decorates the wall of the Convent of Santa Maria delle Grazie in Milan. It has known countless restorations due to Leonardo's experiments in technique as well as the humidity and climate. Seeing this masterpiece in person will bring a new dimension to what you think you know about this painting. 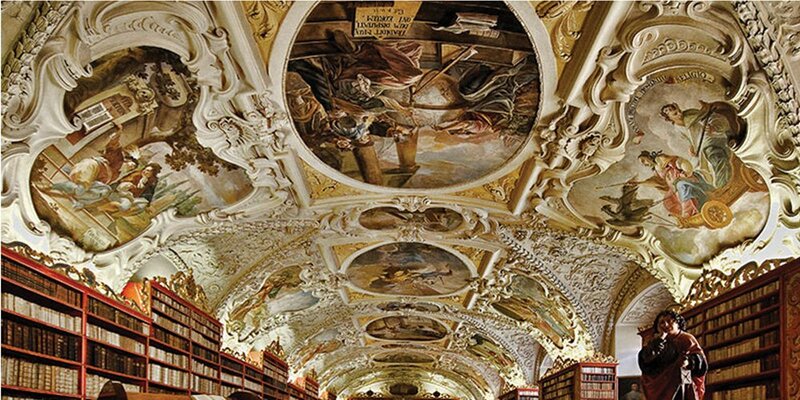 The Strahov Library is really something to behold, and the magical frescoes that hang over the books give all the knowledge in this place a true sense of divine wisdom. The Strahov Library has two halls – the Theological Hall, which was built first, between 1671 and 1679, and the Philosophical Hall, built by the end of the 17th century. The Theological Hall is embellished with many different frescoes, each more striking than the next. They’re all divided by gorgeous frames as if each painting is a book in itself, and all depict quotes from the Bible about wisdom, knowledge and education. The ceiling of the Philosophical Hall on the other hand, features one big luminous fresco called “Intellectual Progress of Mankind”. It celebrates the intersection of science and religion in which true wisdom lies. Palpable grandeur streams from each one of the 30 frescoes that embellish the vaulted ceiling of the Hall of Mirrors, which celebrates France’s political, military, economic, and artistic prosperity of the 17th century. 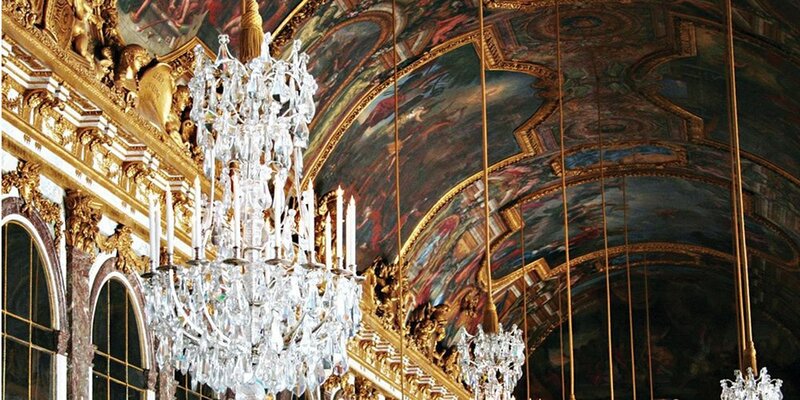 Created between 1678 and 1689, the Hall of Mirrors and its frescoes portray the most glorious moments of the first 18 years of Louis XIV’s reign, from his assumption, all the way to the Dutch Wars in the 1660s and 1670s. Some paintings use allegories from Antiquity in their depiction of certain events. In that sense, looking up into to elaborate ceiling of the Hall of Mirrors is like gazing into a beautiful and imaginative history book. Even in a historic town, blessed with many awe-inspiring buildings that celebrate Christianity, the Church of the Savior on the Spilled Blood is a monumental landmark where God’s spirit almost literally looms over its followers. 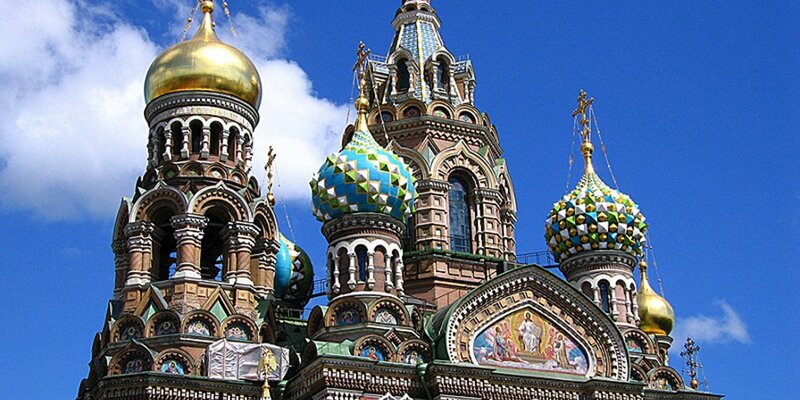 The cathedral was constructed between 1883 and 1907, at the very site where Tsar Alexander II of Russia was assassinated in 1881, and only reopened in 1997 after being closed by the Bolsheviks in the 1930s and its subsequent 30-year restoration. The frescoes capture various Biblical scenes in tremendous detail. What’s even more impressive is the way they’re positioned, masterfully employing the complicated architectural design of the building for maximum effect, as if the actual church was designed according to the frescoes and not the other way around.